It was the end of one era and the beginning of another. In August 1947 the British Empire, which had ruled the Indian subcontinent as part of the Raj since the mid-19th century, granted independence to the India and the Islamic Republic of Pakistan. 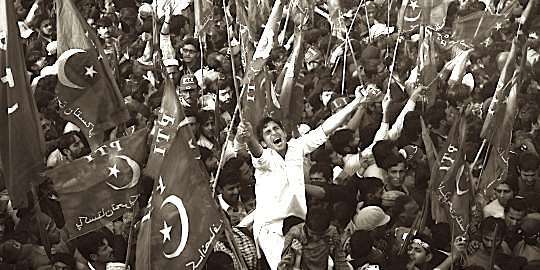 The Muslim League, which arose in the 1930s in order to assure Muslim representation and interests in politics, had fought for Partition for several years and now faced the task of creating a new country. On October 20, 1947, the United States established diplomatic relations with Pakistan, a strategically important partner during the Cold War and a bulwark against the spread of Communism. David Newsom, who was posted in Pakistan as an Information Officer from 1947 until 1950, relates his experiences regarding life in Pakistan, establishing diplomatic ties from scratch, and his trip to the “Movieland” with the wife of the Prime Minister. He was interviewed by Charles Stuart Kennedy in 1991. See also “Two Men, One Grave,” about the 1979 execution of Ali Bhutto. NEWSOM: The partition of India had been accomplished hurriedly. The British, and particularly Mountbatten, were not sympathetic to the creation of Pakistan. That meant that the government of Pakistan, established in August 1947 in Karachi, was a government without any resources, files, equipment or any of the necessities required to operate. I remember some notes that we exchanged with the new government: we typed not only our notes to them, but their reply to us as well on our typewriters because they didn’t have any in the Foreign Ministry. Karachi had been a city of 350,000 people before partition; about 125,000 of those were Hindus or Parsi who left for India. In return, 500-600,000 Muslim refugees had flowed into the city. When we arrived, Karachi was an over-crowded city with people sleeping on sidewalks with all of their meager possessions — little bundles that stood beside them. Some did not rise in the mornings and were carted away. The remnants of the bitter communal riots between Muslims and Sikhs of the Punjab were still very much in evidence. The day before we arrived witnessed that last communal riot in Karachi with about 125 Sikhs being killed in the center of the city. So Karachi was a city under great stress. The diplomatic corps was housed mostly in one hotel. The American Embassy had been fortunate because it benefited by a deal that a Parsi had made with the government which protected his house, which was next to our residence, from government seizure in return for him building three houses for the diplomatic corps behind the residence. We, the Newsoms, got one of those houses because we had a child and that put us on a priority list. We shared that house with another family — the Josephs — for three months. The house had no screens, no air conditioning, which was almost essential in Karachi, and the house was very basic. Karachi was without a doubt a hardship post by American standards, but it was a post where a small group of American Foreign Service people would work well together in the face of adversity. The attitudes of the embassies in Karachi and New Delhi reflected the views of their respective “clients”. When we got together, the conversation was as argumentative as the discussions between the two countries. Tom Simons, who was the INR [Department of State’s Bureau of Intelligence and Research] man in Karachi, had an academic background and was a specialist in South Asia. He conducted basic research. He had done similar work in Calcutta and therefore had a more balanced view than the partisans. But he was the exception. The rest of us thought that there was justification for partition in light of the persecution that the Muslims had encountered, but we were of course under the intense emotional barrage of the Muslims refugees who had fled from India. 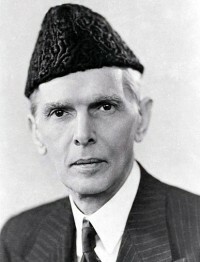 The relations between Pakistan and the U.S. in those years were difficult because of the public perception in this country, primarily of Gandhi and Mohammed Ali Jinnah, the founder and first President of Pakistan. I remember having to deal with the American press covering Jinnah’s death in September 1948. When Gandhi was assassinated, the American papers were of course filled with highly laudatory comments. When Jinnah died, he was seen as austere, inflexible and a man who had done great damage to India by his insistence on partition. That attitude was not the official attitude, but this view was reflected in the American press — The New York Times, The Herald Tribune and the other newspapers that we used to receive at the time. Our personal relationships with government officials were good. Washington’s attitude was that given the growing tensions between the Soviet Union and the United States and given the Azerbaijani events occurring nearby, it was in our interest to build good relations with the new state of Pakistan. My reference to the Azerbaijani events concerns an effort made in 1947 to create an independent republic of Azerbaijan in northwestern Iran, with Soviet support. This would dismember part of Iran. George Allen, then our ambassador in Tehran, took a very firm position, supported by Washington, that the U.S. would not tolerate such action and we gave the Iranians moral support to squash that drive towards independence. That was one of the first thrusts and counter-thrusts of the Cold War. So Washington had those events very much in mind as we developed our policy toward Pakistan. We were just at the beginning of our aid efforts. Truman’s Inaugural speech, which launched the Point IV program — a program of technical assistance — together with our experience from the Greek-Turkish aid programs and the Marshall Plan, was the beginning of our world-wide assistance efforts. Pakistan was an early recipient of economic assistance and attention. While I was in Karachi, negotiations with Harvard University had begun. This contract was to collect a team of economists to review Pakistan’s situation and to develop an economic strategy. West Pakistan was a potentially rich area, but partition had disrupted economic development and had changed a lot of the potential. There were also problems with the economic viability and prospects of East Pakistan, which is now Bangladesh. So the U.S. was one of the first Western powers to take an interest in Pakistan’s economic future. I was not directly involved and don’t remember all the details, but Pakistan was certainly one of the early recipients of U.S. assistance in the Third World. A lot, of course, had to be developed locally. I used whatever resources were available. We used the [U.S. Information Agency’s] “Wireless File” which was transcribed from a squeaky short wave radio by a local employee. We began to get books and films. I started a monthly magazine called “Panorama” which I believe is still being published. It was about the United States. We got some money for educational grants — it must have been part of a program just being developed. Our program was very modest. We benefited from the large interest in the U.S. that the Pakistanis exhibited. Particularly interested was the wife of the then Prime Minister, Liaquat Ali Khan, who was subsequently assassinated. She had been educated in an American girls’ school in Calcutta and loved American songs and movies. We had at times to temper her enthusiasm. In 1950, I went to the U.S. as one of her escorts for a trip she took to this country. One thing she always wanted to do was to go to Hollywood. So we arranged for her visit to the “Movieland.” We were very conscious of the conservative Muslim society from which she came; we structured the visit so that there would not be any embarrassing occasions. 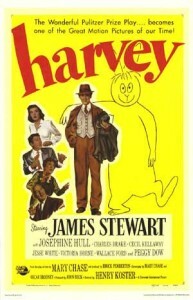 We were to visit Jimmy Stewart who was then making Harvey. As we were walking down to the set, some P.R. man came along and said something to the Prime Minister’s wife. She nodded agreement and we were suddenly whisked away to a set where Abbot and Costello were making a film on the Foreign Legion. She was a long time fan of the Abbot and Costello. 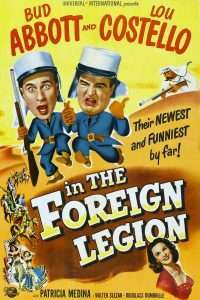 So before I knew it, there she was in between Abbot and Costello, each in a French Foreign Legion uniform having their pictures taken. I could just see what a propagandist could do with that! So I immediately went to the P.R. man and asked him to kill all the pictures that had been taken for the benefit of maintaining good U.S.-Pakistan relations and for the American film industry. She thanked me later because she also had come to the same realization, but had been so carried away by the glory of the moment that she had forgotten who she was. We had a friendly atmosphere in Karachi in which to work. There was an interest in the U.S. Our facilities were very limited. We were just beginning to learn about the pluses and minuses of information efforts. We learned that the projection of the U.S. was not nearly as important as how U.S. policy was received by the local population. In May 1948, when Israel was created, Pakistan, as a strong Muslim country, reacted very negatively. We had demonstrations in the streets in front of the Embassy. I was sent by the Ambassador to confront the demonstrators and to invite the leaders up to meet with the Ambassador. That was something that probably could not have been done in later years when demonstrations became more hostile and virulent. But in 1948, we were able to have a dialogue with the demonstrators. We had an imaginative administrative officer who sensed that the demonstrators might move to the residence. So we got the Pakistani police to move its kiosk from the residence to the front of the house occupied by the Parsi, who lived next to the Ambassador. Those were the days when things could be done more informally or imaginatively. But U.S. support for Israel as well the perception that the U.S. was not doing enough to get India out of Kashmir limited our influence in Pakistan, although I never encountered the open hostility that I experienced later in Iraq. American policy towards anti-colonial revolutions was at that time very ambivalent. So it was not easy for us to detach ourselves totally from European powers and policies. We were supporting the re-entry of the Dutch into Indonesia, we were supporting the re-entry of the French into Indochina. North Africa had not yet become an issue, but there were some inkling of independence movements there. 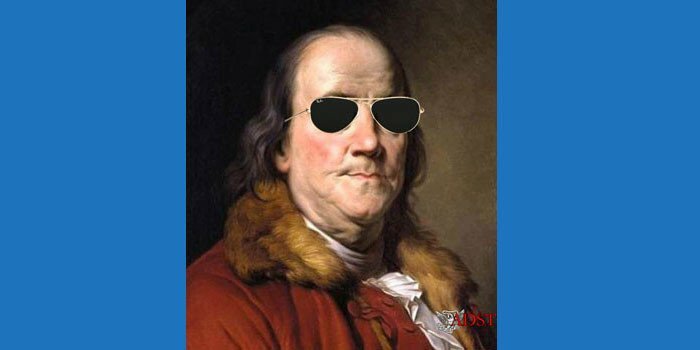 Washington liked to stress in this period, which I always felt was of dubious validity, was that we had been a colonial subject at one time and therefore we could sympathize easily with those who were still under the yoke. 1947 and 1948 were very much different from 1776. Our revolution was essentially one against members of the same race. In the post-World War II period, race was a significant factor and American support for Europeans was viewed through that prism. There was a general recognition that Roosevelt had tried to convince Churchill to give independence to India, but whatever benefits we got from that were tempered by some of our actions in the immediate post-War period. It is my recollection that it was a continuing effort to separate in people’s minds from the U.S. from the European colonial powers….